This weekend our family celebrated both Pesach (Passover) and Easter. As we transitioned from finding Easter eggs to finding the afikoman (matzah), I was reflecting back on my own childhood. I didn’t grow up in a religious household, but I was raised Jewish, and and we celebrated major holidays. Now that I am a parent, and still observe Jewish holidays with my relatives, I feel as though I want to give my daughter a little background about what it all means. 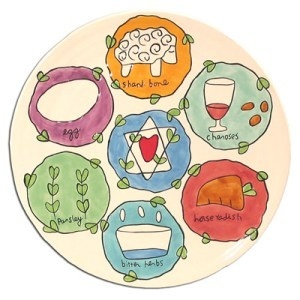 As I was reading about the story of Passover, I was also looking for some videos to help visually explain some of the details. 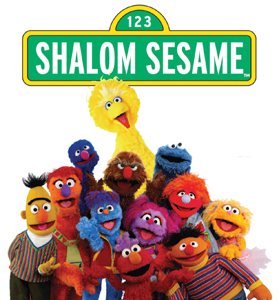 While I was searching around, I found Shalom Sesame, a co-production of the American version. Shalom Sesame was created in an effort to introduce Israeli life and Jewish culture to American audiences. The episodes feature Hebrew and English words, which is nice for bilingual families. Monolingual families (like ours) can also benefit from these episodes since English translations of Jewish literature use the Hebrew form of certain words. For example, the afikoman is a piece of matzah that is broken in half and set aside to be eaten as dessert after the Passover seder (dinner). Children will get to see certain American muppets in some of the episodes of Shalom Sesame, and meet new ones. Moishe Oofnik, for example, is Oscar the Grouch’s cousin. Naturally, Moishe also lives in a garbage can (in Israel). I am so glad I found something relatable to share with Em as we were preparing for our own celebration. Below are videos we enjoyed the most, but I would encourage any family interested in learning about other cultures to explore Shalom Sesame.